My mom and brother’s birthdays are only 2 days apart, so I made a cake for both of them. 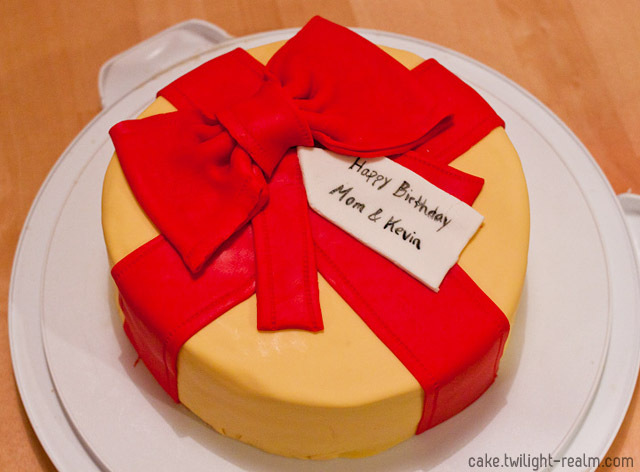 It’s a lemon cake, and all of the decorations are with fondant, even the ribbon. I made it look like a wrapped gift with a gift tag. 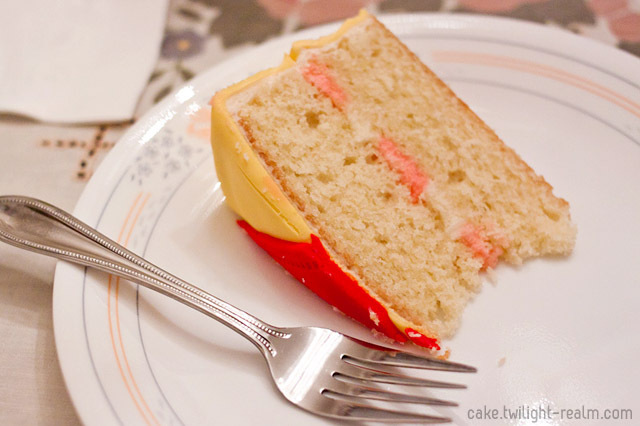 In the middle of the cake, I alternated the colors of the frosting to create a striped look. you are so talented in baking as well!! I wish I knew how to bake! I’m loving all your cakes and how they look. I’m sure they also taste amazing!